Threat levels are high in Europe. The Eiffel Tower and two crowded Paris train stations have been evacuated because of phoned in bomb threats in late September. On 14 September the French senate passed into law a ban on the Muslim veil worn in public. Apparently, secularist fundamentalists in France would strip the veil off women with as much self-righteous conviction as the jihadist who would force women to hide themselves behind them. Now the fight over the right to drag threads over or off one’s face may drag France into a period of high security alert this October. The Internet and cell phones are alight with traffic heating up faster than an Apple G4 microprocessor. What heats it up are rumored concerns of an imminent, Mumbai style attack planned by al-Qaeda operatives from North Africa. They may unleash suicide commando raids gunning down and grenade stoning apart crowded and iconic public places across Germany and France. Both countries are on high alert though American government sources are less concerned about alarming Americans abroad. Perhaps American intelligence keeps alive an old pattern from nine years ago. French intelligence was monitoring the same kind of email and cell phone traffic on 10 September 2001. They tried to warn their opposites in the CIA and Pentagon. The latter were still scratching their heads about taking French warnings seriously when on the following morning (September 11th) a Boeing 757 jet full of hijacked civilians of American Airlines Flight 77 swooped down at grass-top level at over 530 mile per hour. The raped jet struck the west face of the Pentagon like a lightning bolt from the blue turbaned al-Qaeda Talibani. Is a large-scale attack coming soon to the European tourist destination nearest to you? My oracle says not in October. Look out for November because it is the 11th month and the al-Qaeda inspired jihadists love to mark their targets on dates playing with the numbers 11, 9 and 7. Be mindful of days like 11/6 (upside-down “9/11”) or 11/7 or 11/9. Remember to mark these days on the European calendar as 7/11 and 9/11/10. 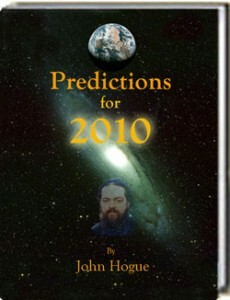 You can read more about it in an eBook about 2010, click here: terrorist attack. 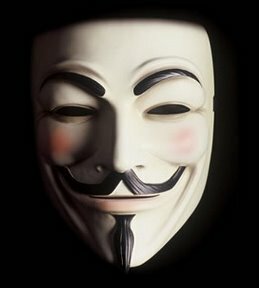 Whatever the numbers, Guy Fawkes (the English terrorist who planned to blow up English Parliament at the end of the 16th century) is a jihadi Shaheed (Muslim martyr) in our times. He is in search of a kafir (infidel) target to powder keg. It may not be British Parliament on his hit list to be blown all-a-sinders, but to paraphrase the famous Guy Fawkes rhyme, “Remember, remember, any night in November” 2010 as a time to be extra vigilant against terrorist attacks in Europe, in America, and especially in India. Be watchful where many Western tourists and/or Western disciples of Eastern teachers gather in ashrams or meditation resorts from Mumbai, Pune or down in Bangalore. Meditation and awareness is your greatest defense against terror of all kinds — jihadist or the greater terror of being under the sleepwalking influence of a conditioned mind. Terrorists are watching you as you watch your selves. They are waiting for your awareness to loosen, for your security guards to be withdrawn. Stay alert in November and all will be well. A terrorist is like black magician. He needs the victim to unconsciously give his or her power away to his fearful bluff of cursing. A terrorist is an unconventional warlock, ever vigilant for a moment of weakness in which to strike. A curse works because you give it your energy. An act of terror works only when you give your watchfulness away. Back on 8 August I received an email from “RA” about another kind of terror. The kind people sometimes vent when a “spiritual terrorist” shares an insight that can blow up one’s apple cart of borrowed beliefs. There are good terrorists as well as bad. The good shock us out of our false reveries and pretenses. They blow up the foundations of our under-“mind”, which are the twin towers, parliaments and pentagons of borrowed knowledge, identities and dogmas imposed on our innocent, nascent, birth-given intelligence. I have known such a spiritual terrorist and I aim to become one. I listened to your comments on Nostradamus on a History Channel special called the Nostradamus Effect. Your commentary was quite interesting, so I went to find a book or two by you and was surprised at how virulent some people seem to be when it comes to your work. I’ve found that when many voices are raised to silent one voice, there’s usually something interesting to pursue there. Not always, but often. Why do you think some people have taken such a critical view of your work. Thanks for your letter today, RA. I receive many letters each day. Many of them are unconsciously motivated and driven by narcissistic projections of the letter writer who either praises me because my round peg by chance happens one day to fit their round whole of biases. Other readers react against me because my round peg by chance pinches their square whole of preconceived antithesis. With time, nearly every narcissistically positive commentator on my writings will eventually find I do not fit with his or her projections, thus I am rejected off handedly. With time, nearly every calumny-texting, vitriolic emailer will by pure accident of bias find I sometimes do fit with his or her worldview. Then suddenly my credibility is resurrected. My peg at last fits in their whole of mindset. I am not agreeing with what you have said like one of my narcissistic readers. There is a very fine line of difference. I harmonize with what you are saying because it has been my own direct experience not a mere belief upheld without it. How you have sought inquiry is how I also seek it. Whether what I say or who I am resonates with you or not, will have as little or as much value to existence depending on your capacity to delve deep with an open mind and heart of true inquiry into what this John Hogue is all about. I have come to understand that originality and fresh intelligence can act like sand rubbing raw the oyster or it can act like a brush combing against the grain of what is traditional, robotic and politico-spiritually correct. Like you, when faced with a thinker or mystic or any figure in any field of endeavor that stirs a large and virulent protest from all sides, rather than join in the chorus I am compelled to learn for myself who that person is and what they are saying. Such universal controversy is a sign that something new and important may be hiding just under the surface related to the target of all-sides, negative attention. I look at history. When has the new been easily embraced by the status quo in any dimension of life? When has progress in human consciousness not met resistance? Of course there is always the danger that controversial figures are being irritating just because it satisfies a recalcitrant ego trip. Then again, not all gold is pyrite. Not all pearls are plastic. It is worth the risk to inquire further into a man or a woman at the center of so much controversy from all sides. The passion of detractors can indicate that a nerve has been touched, a tradition exposed or illusion’s sleep disturbed. So off I go to directly understand that person who stands alone as a majority of “one” against the crowd. Does he or she become this out of hubris, or authentic and progressive humanity flowering from within? Originality is by its essence a force that undermines complacent status quo thinking, feeling and experiencing. We seem embodied in a mortal universe (perhaps not the only universe around) that is wired to resist progressive evolution of thought and spirit. Yet it evolves. The sand chafes the oyster, yet from time to time pearls of great beauty and richness arise. Unconsciousness exerts the pressure of form-ality that turns coal into diamonds. Mediocrity and conform-reality have their parts to play. The question is, for each of us to contemplate: Am I choosing to be a force of form-ality; or, am I the diamond in the rough, in the making? Am I the garden’s mulch or am I the flowering? Also, I’m trying to find a copy of your book cited on the History Channel: Nostradamus and the Anti-Christ. Is it published yet? Yes, RA. I publish it as an eBook. Much of my work now is self-published, because the evolution of my work since I published my last book in paper in 2003 — Nostradamus: A Life and Myth — no longer ingratiates me with the corporate media pigeonhole set for authors and scholars in the prophetic field. I hope to see that change, but I also understood long ago as a tomorrowist that the future of the written word depends upon delivery systems made of photons and electrons stored on screen tablets like Kindle and iPads, not on ink staining the skins of murdered trees. I try to live by the future I foresee, so several years back I began publishing my books as electronic books that I sell at my web site and soon through other electronic avenues. 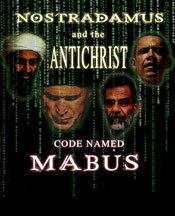 Here is a link to my web page concerning Nostradamus and the Antichrist (Mabus). It is the second highest ranked page on the topic in the world. This entry was posted in Meditation and tagged 9/11, al-Qaeda, American Airlines Flight 77, Bangalore, Black Magic, German Bakery, Guy Fawkes, Hogue, iPad, John Hogue, kindle, Mabus, Mumbai 9/11, Mumbai attacks, Nostradamus biography, Pentagon, predictions, prophecy, Pune, Shaheed, Shahid, Terrorist attack, Third Antichrist. Bookmark the permalink. Post a comment or leave a trackback: Trackback URL.